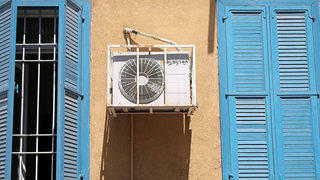 You don't need an expensive overhaul to save energy in your house. Below, we show you how it's possible to save money without a large up-front investment. But what about making the historic house you already inhabit even more environmentally friendly? There are a number of small things you can do; it often just takes a few tweaks. With that in mind, we’ve gathered six low-cost tips for how you can reduce your historic house’s environmental footprint while saving energy and money in the long term. 1. Re-think your lighting choices. According to Green America, lighting can account for up to a quarter of a household’s energy costs. If lightbulbs need to be replaced, use more efficient, lower-wattage versions that produce equivalent or superior light output and quality. LEDs are an excellent option because of their longevity compared to modern incandescent electric lightbulbs. Additionally, incandescent lightbulbs produce more heat than light, which makes them quite inefficient compared to LEDs. 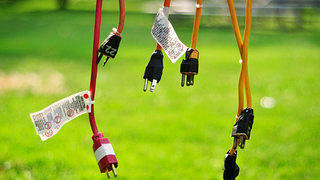 Unplugging electronics that are not in use can create big savings over time. 2. Make sure to unplug. Make sure lights and plug loads are turned off at night, and throughout the day when not needed. Plug loads refer to the energy used by equipment like computers, printers, or other electronics that are typically plugged into an outlet for long periods of time. Even if you turn your computer off before going to sleep, it is still drawing energy (this is sometimes called a “vampire load”). Unplugging will sever that constant use of energy. It’s a surefire way to save money on your electric bill. 3. Mitigate door and window drafts. The Office of Energy Efficiency & Renewable Energy posits that up to $400 of the typical annual energy bill comes from compensating for drafts around openings like doors and windows. Drafts can signal to your thermostat to raise the heat or lower the temperature, leading to a higher energy bill. Yikes! Luckily, it’s a simple fix. Repair broken windows and weather strip or caulk windows and doors where drafts can be felt or there are visible signs of deterioration. Shading devices are an excellent option to save energy. Your energy bills will be lower in the summer if you use curtains, blinds, and awnings that mitigate direct sunlight. In the winter, make sure to raise those curtains, though, especially on south-facing windows. Natural solar heat will warm your house efficiently. Whole Building Design Guide notes that you can save between five and 15 percent of your energy cooling consumption this way. Replace manual thermostats with programmable thermostats, and turn down heating and cooling systems when your house is unoccupied. Programmable thermostats are a great option to save energy. You can easily adjust the times you want heat or AC to turn on. Note: Lowering the thermostat before you go to bed at night will save you money while you sleep. Apply upper and lower limits on heating and cooling temperature set points. 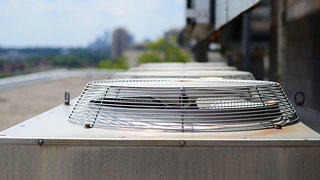 Regular maintenance of your HVAC equipment will make sure everything is running smoothly and efficiently. 6. Verify or establish a comprehensive maintenance protocol of HVAC equipment. Talk to your contractor, or whoever installed your HVAC (heating, ventilation, and air conditioning) equipment, to make sure they have programmed the systems to use a little energy as possible. A professional will also clear the drains in your AC units. A clean system in good repair is much more efficient than one that could use some maintenance. An HVAC system, in combination with a programmable thermostat, is an easy way to prevent wasted energy. Check out the National Trust’s Preservation Green Lab to learn more about old buildings and their impact on the environment.